We are now officially on the east coast of the United States. When I think of all we have done and seen the past two months (our two month anniversary was yesterday, March 30th) it seems like it has been much longer than two months. We are now about 3,600 miles into our journey, with thousands of miles to go over the years to come.....how many years you ask....I don't know when we'll get tired of changing our view.....is that even possible? In reaching the east coast we crossed 8 states taking the southern route, and saw things we have never seen before.....we spent several weeks along the Gulf Coast, which was our goal...we spent 4 days on Padre Island south of Corpus Christi, a couple of days on Galveston Island, Bolivar Peninsula (rode the Galveston Free Ferry), visited the French Quarter in New Orleans, visited Baton Rouge, crossed the mighty Mississippi a couple of times, spent a week deep in Bayou country, went to a Zydeco festival, visited Avery Island (home of Tabasco), spent parts of 3 days in Cedar Key where we went kayaking, and made many new, what we call, Nomad friends.....people who are doing what we are going...changing our view daily, weekly, monthly...when we feel like it, and adhering to no particular schedule, unless we decide it's what we want to do. I don't know if we will be in Stuart 3 days, 7 days, or 10 days, but I will know when it is time to move again. Right now we are courtesy parked at the home of a long time friend gong back to high school....our paths separated for a few decades, but we reconnected on Facebook, and now we are here sitting his home catching up on 40 years of history. Tomorrow we will go kayaking, and I think Monday, or Tuesday we will take a long bike ride.....we will drive up to Vero Beach, the former home of the Dodgers spring training facility, and up to the Kennedy Space center in Titusville. Sitting here writing this blog while simultaneously watching the Kansas v. Ohio NCAA final four game.....Kansas pulled out the game after trailing the entire game, and finally taking the lead with around a minute to go. I guess I should add that our drive across Florida from Cedar Key on SR44/441/46 was very nice....great roads, and low traffic volume. We overnighted at another Walmart Supercenter at about the 140 mile mark leaving 162 today.....a little longer each day than normal, but still easy driving days. 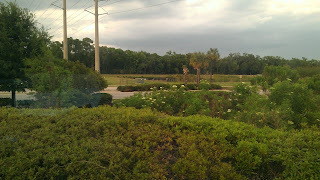 The drive south on I-95 was very nice and uneventful....just what I like! 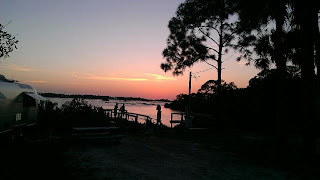 On our walk back from the Tiki Bar Wednesday night Debbie (NU RVers friend) told us that Jeanette (Cheddar Yeti) was going to check on kayak rentals for Thursday, and were we interested....."YES!" I heard my self saying. 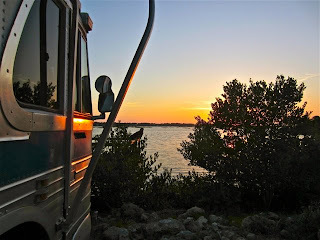 The plan was to ride our bikes into town around Noon and spend a few hours paddling out to Grass Key and back. That was perfect for us since we (Elaine....lol) needed to do laundry. Normally we would use our Splendide, however, our site only has water and electricity (no sewer connection) so we did not want to fill up our gray tank prematurely. They have an excellent laundry here at Sunset Isle. While the clothes were in the washer we walked over the onsite AdaBlue Cafe and got breakfast....I had the egg/bacon/cheese biscuit sandwich ($3.50!). The prices are very reasonable for everything at this resort! We ended up with a group of 7 and were able to rent 2 tandems, and 3 singles. The tandems were $45 for 3 hours, and the singles were $25 for the same period of time. We launched our sea kayaks around 12:15pm and began our short paddle over to Grass Key, less than 2 miles over open, but lake like water....a perfect day for paddling. I think the last time Elaine and I paddled a kayak was 20 years ago on our 20 year anniversary in Kauai, but we did fine. There is very old cemetery on the island that you can hike to, which we did....the trail is probably about 1/2 long. I think the oldest graves were from the mid 1800's. At one time the island housed a Union Army garrison during the Civil War, and there was actually a pencil factory there during that period. 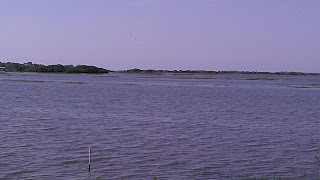 Now the island is owned by the Water Recreation Bureau, and been allowed to return to its natural state. We arrived back at the rental agency, and turned in our kayaks and life vests, and then headed over the warf area to get some home made ice cream......I chose my favorite, rum raisin, of course! Was that ever great ice cream.....several people in line heard me raving about my cone, and ordered it too....they were not unhappy to have followed my lead. 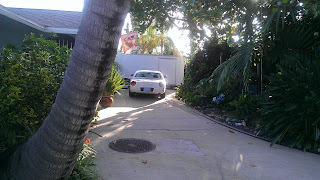 Later that evening we attended a potluck being held at the Tiki Bar, located at Low Key Hideway just a long block from Sunset Isle. One of the waitresses brought some venison that she bbq'd , and others brought fish, chili, and we brought a couple of bacon wrapped filets. All the food was shared....we had some amazing sea trout, and grouper, and the chili was to die for. 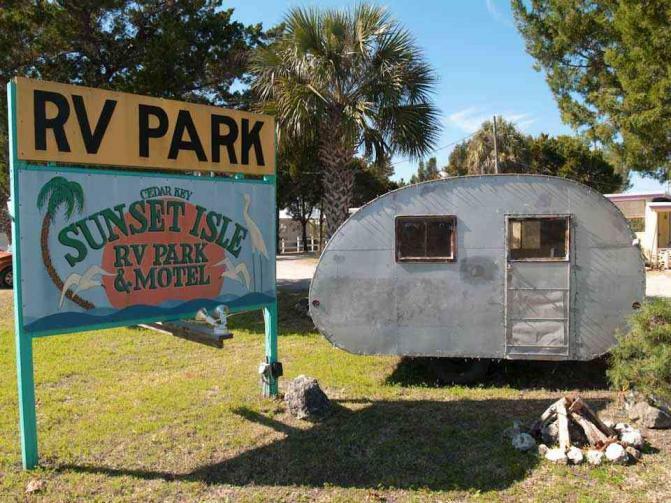 Low Key is a small motel, which also offers 4 RV sites right on the water, and, of course, the Tiki Bar where domestic and imported beer is served by the bottle, and, also, wine by the glass. It is open air, and many locals show up near sundown to have a couple of drinks, chat and watch the sun set. This great little place is run by Pat and Cindy Bonish of "Every Mile A Memory" fame.....they traveled for many years pulling a trailer, and living mostly off the grid using their solar panels (300 watts), and wind generator (400 watts at 10-12 mph wind speed). They came to Cedar Key a couple of years ago and stayed on to run this little resort and get it back on its feet at the request of the owner. They will be back on the road soon.....at least that is their plan. The gravitational pull of this little Key community is hard to break. We spent several hours sharing and listening to other fulltimers sharing their adventures. What a cool, eclectic group of people. Some are in their late 20's, some in their mid to late 30's, some in their 40's and up to our age group. 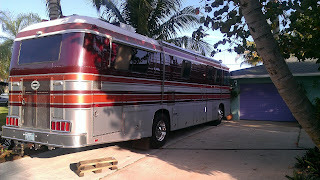 We all share a common love for the RV life and changing our views weekly, monthly, daily. Many of them are working as they travel to support their journey. 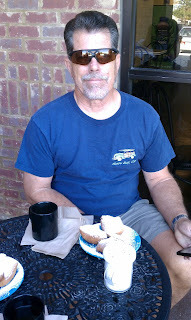 One young couple, Brian and Maria, are visiting brew pubs around the U.S. and have a blog (TheRoamingPint.com). We love brew pubs, and craft beer places, and seek them out. 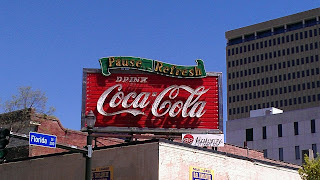 Their blog has reviews of almost 200 of these cool places, which we will refer to as we travel. The couple we originally came to visit, Chris and Cherie of Technomadia, also work on the road....they are both involved in the technology world. This is a fascinating group of people and we have loved spending 2 days with them.......tomorrow we head east again over to Stuart, FL. That's it for Thursday! Thanks for stopping by! Our original plan was to follow I-10 eastward to I-95 and then head south down the east coast of Florida to Stuart, FL to visit an old friend. 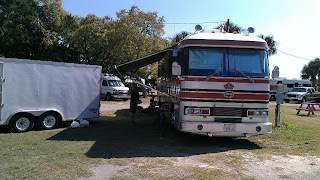 While we were overnighting in DeFuniak Springs, FL I read on one of the blogs I follow (Technomadia) that they would be in Cedar Key for a week starting this past Monday. 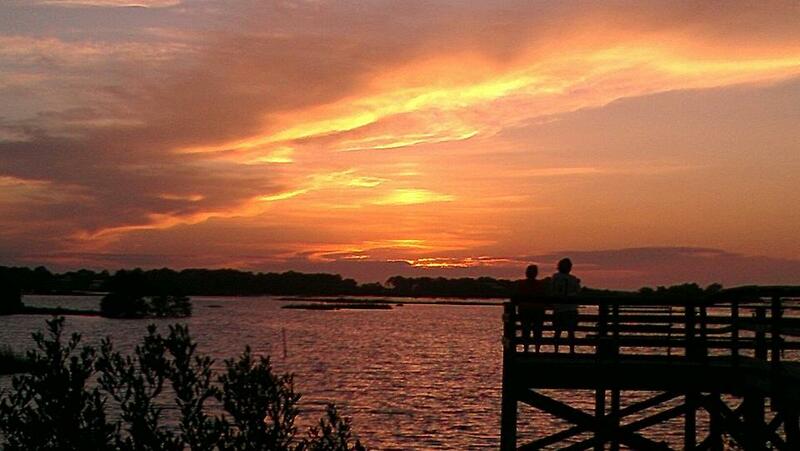 Cedar Key is on the west coast of Florida about 150 southwest of Tallahassee. 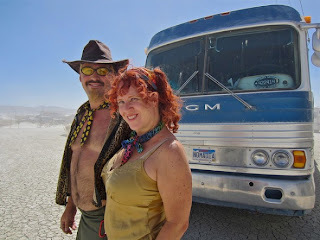 I talked with Elaine and we decided that if we could get a spot at the same RV park they were at we would deviate from our course a couple of days and hook up with Chris and Cherie, as well as some other fulltime RV'ers that also publish blogs about their journeys in their RV's. From DeFuniak Springs we were about 278 miles away, and even though we could have made it in one day we decided to stick to our 120+ mile per day plan and get there on Wednesday. 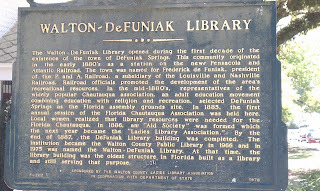 Our original destination was another Wallmart Supercenter just east of Tallahassee, but we decided we did not want to overnight on the edge of a capitol city, so we pushed our daily stop another 50 miles south on Florida SR 19 to the small town of Perry. We subscribe to the Escapee's (SKP) Days End report that gives information of free, or very inexpensive places across the width and breadth of the USA to overnight. We have used it a couple of times already on this trip. In this case the free spot was Forest Capital Museum State Park, which provides over 100 spots with water/electricity on grass among pine trees. 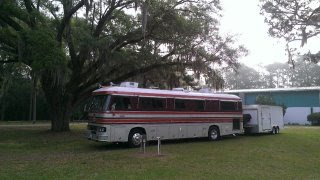 We departed DeFuniak Springs around 8:15am....we're gettin' real good at getting up and on the road! 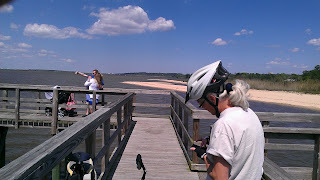 Each hour we try to stop at a rest stop, or picnic area, get out of the coach and walk around. 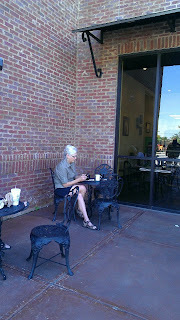 Sometimes we meet interesting people. At one stop we met a long trucker named Joe who came over and asked questions about our rig, and told us a lot about his business that I never knew. Joe is from Indiana and spends 3 out of 4 weeks on the road. After every 70 hours of driving he must sit it one place for 34 hours to get his time back and drive again. It is monitored electronically, so there no way to "fudge". Another lady we met, and I don't recall her name, was from California originally. She and her husband had moved to Florida for work.....something in aerospace I believe, and it didn't work out so she was (with a Master's degree) working at the restop to supplement their income. Everyone has a story, and there are a lot of those stories that are part of our memories of this trip now. At our second rest stop of the day just west of Tallahassee, where we spent about an hour discussing our alternate destination for the day, we decided to push on to Perry. We were glad we did, and really enjoyed our overnight stay at the State Park. 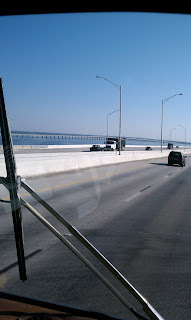 Of course, once we hit Tallahassee we entered the Eastern time zone, where we will be for the next couple of months. So, when we arrived in Perry it was 1:30pm, not 12:30pm. As a result our departure was a little later on Wednesday....about 9:30am.....we only had 95 miles to go to Cedar Key, and we also needed to stop in Chiefland to stock up on food and drink for the next week, or so. The Walmart was on the east side of Florida SR 27, and the Win Dixie on the west side.....very handy as we needed to shop in both stores. 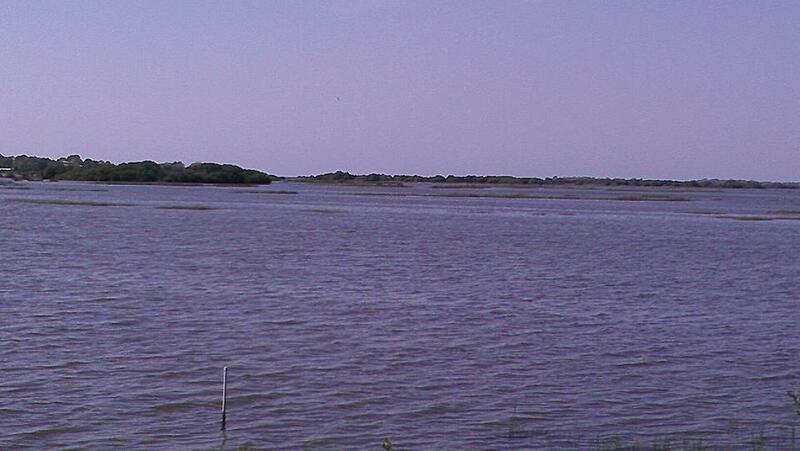 We arrived at Cedar Key after a very relaxing uneventful drive around 12:30pm. I have to say that these Florida secondary roads are wonderful.....we've been on 3, or 4 now and all are in excellent shape! After geting settled, which involved unhooking our trailer, dumping our tanks, and then cooling down, we went over to visit Chris and Cherie. They have a spot right on the water, and it is worth the extra they are paying. Just after sunset....I won't miss the actual sunset tomorrow! 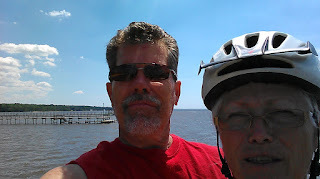 After talking with Chris and Cherie for a while and exchanging tours of our Nomad homes, Elaine and I suited up and took a bike ride into Cedar Key (1.5 miles away). 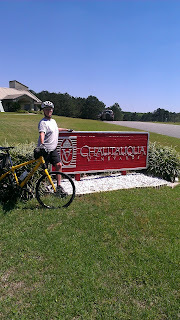 We rode about 8 miles in total and saw the whole town, including the airport. A very nice, LAID BACK place. I can see why people come here and never leave. Later, after sunset, we walked over with Chris and Cherie to the local Tiki Bar located at Low Key Hideway about a block and a half down the street. Enjoyed a great conversation over great beer watching the after glow of the sunset turn to darkness. A very nice day in Cedar Key....tomorrow looks like Kayaking, and some more bike riding! We have covered a lot of ground since Saturday! We are no longer in Louisiana, Mississippi or Alabama, but here is our story for the past 2 days! 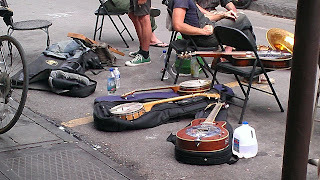 When last I wrote we had dry camped in the parking lot of the Walmart Supercenter in Prairieville. Saturday afternoon we drove a little over 100 miles to Slidell, LA and stayed in another Walmart Supercenter across from one of our favorite restaurants......Cracker Barrel. 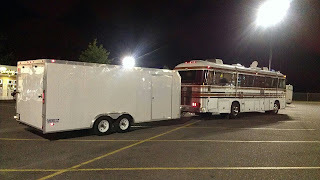 We learned something important about this dry camp.....never pick parking lots shared by other large anchor stores....in this same parking lot was a Lowe's, and as a result the parking lot was very cramped, but we found a level spot and spent the night.....just was very difficult maneuvering into and out of this lot. 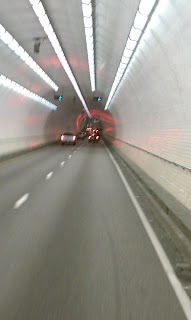 Today driving was wonderful. 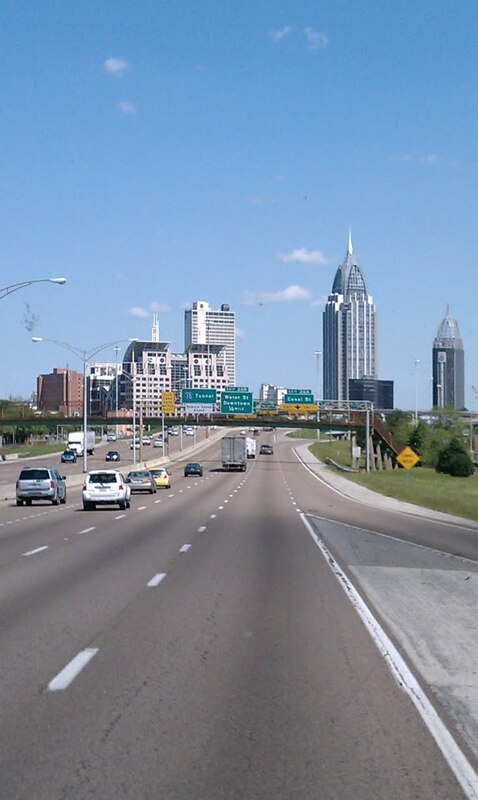 We drove I-12 to I-10, and it was straight, level and smooth. I just set the cruise control and held on to the steering wheel. One funny thing though I have to report in the interests of full disclosure. In my head I thought we would merge on to I-10 EASTbound then exit in Slidell. As we approached the junction Elaine told me to take the WESTbound exit.....since that didn't comport with my brain's understanding I didn't and kept going EASTbound. She was right, and I was wrong......again.....haha! We had to drive into Mississippi, exit 10 miles further east and drive back.....we were within 2 miles of our destination and I added 20 miles by not taking my wife's direction. We did a little shopping in Walmart, and settled in for the night watching NCAA March Madness. Sunday morning we got up around 7am and headed over to the Cracker Barrel (of course you knew that was coming, right?) for breakfast and coffee. After breakfast we had to open the rear of the trailer, unhook the 'Bird and reposition it because when we crossed the bridge (inadvertantly) into Mississippi the car bounced around a little (awful bridge) and moved to the right. In spite of that we were still underway by 8:40am....one of our earliest starts in recent memory! Again it was another 117 miles of straight, level, smooth I-10.....set the cruise control and just hung on to the steering wheel. 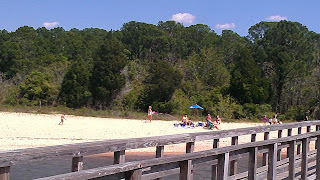 We did pull off the Interstate to use one of Mississippi's wonderful rest areas....wow, these places are like parks. They also provide free dump stations, which we used for our gray tank water. 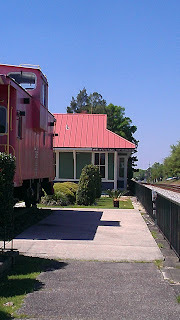 Due to our early start we got to our destination for the day, Daphne, AL, around 11:30am! 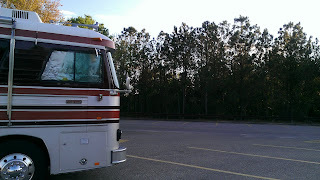 We pulled into the Walmart Supercenter and were blown away by how nice this lot was....surrounded by trees, and very quiet! 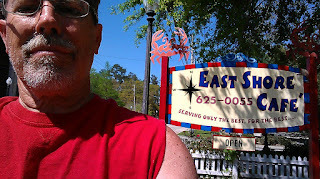 The manager gave her blessing to our over night stay, and we got the bikes out to tour around Daphne. 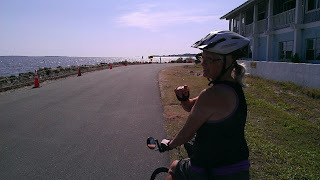 The Walmart is not far from the ocean, so we headed there first, and then several miles down the Easter Shore Trail, which is a nice bike path. 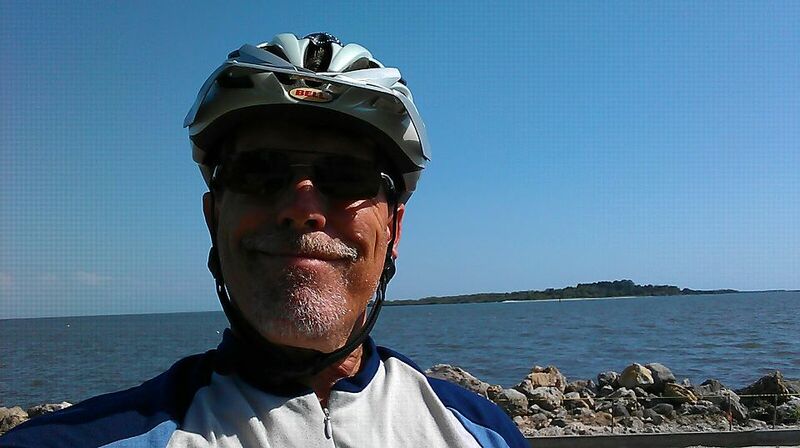 This is the first time we have ridden in 10 days, and the weather was perfect....mid 70's, and around 40% humidity. 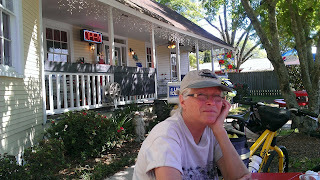 We found a cool little cafe (East Shore Cafe) where Julianna (young college student) provided wonderful al fresco service. As the sun set I watched another NCAA March Madness game, and was not disappointed...another close game. The temp inside the coach got down to 63....that's the lowest in several weeks! Nice to sleep with the windows open again. Today, Monday, we got underway around 8am....another early start. 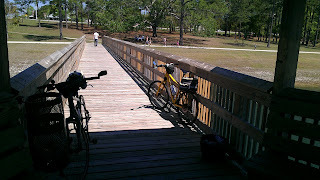 Our destination for today was De Funiak Springs, FL....another tough 119 miles eastward on smooth, straight highway.....we're now in the Panhandle where it is a little hilly, but we knocked out the distance by 11am. We are at yet another Walmart Supercenter that allows overnight parking. 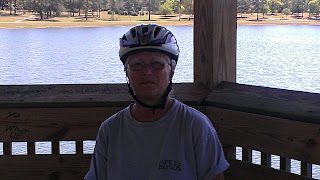 We quickly got our bearings, got the bikes out and went for another bike ride over to De Funiak Lake, the spring fed lake.....it is almost perfectly round....probably about a mile in circumference. 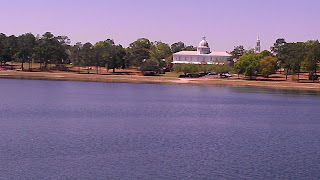 A lot of very old Victorian homes surround the lake. On our way off the freeway Elaine spied a winery, so after riding around town for an hour, or so we headed to the winery to taste some local wines. Chataqua Winery is a quaint local winery. We ended up buying two bottles.....once, Sugar Sands White, is really yummy! We got back to the coach around 2pm, and I spent the rest of the afternoon doing some office work, and going through the mail my son had forwarded. I even took a nap today for the first time in days.....what a great day! Tomorrow we head for Tallahassee, and then south to Cedar Key, FL! I will post the pictures I took the last two days in a couple of hours....so check back for the great pictures! Friday morning we got up with one goal in mind....head north to Baton Rouge, but first we had to dump our black tank, and receive mail from my son. Our host advised that the mail delivery was usually between 1pm and 2pm, so around 12:30pm we headed into town in the coach (without the trailer) to the Civic Center where there was rumored to be a dump site, and sure enough, they have an RV dump site at the Civic Center....who would have thought? We got the black tank dumped for $5.00, and then headed back to our host's home to discover the mail had been delivered, and our mail was there!!! I love it when a plan comes together! We hooked up the trailer, loaded the 'Bird, and were on the road by 2:30pm. Our goal for the day was a Walmart Supercenter just south of Baton Rouge in Prarieville. We arrived there around 4:30pm, and what a great choice this was....giant parking lot, good lighting, much lower humidity, and a good price on diesel at Murphy USA in the same parking lot....$3.85/gallon. We found a nice level spot, parked, and headed over to a Rocco's Po' Boy New Orleans style restaurant....I had Shrimp Alfredo.....hmmmm....I can still tate the garlic....yum! The humidity was right in the low 40's...the lowest we've had since West Texas....lol! Slept great, and enjoyed having the windows open all night! In the morning (Saturday, today) we unloaded the T'Bird and drove across the parking lot to the gas station and put $500 in the Newell tank, and 15 gallons in the 'Bird. Once we were back in our spot, we got dressed and drove the 'Bird into Baton Rouge, but before we got too far we stopped at Rue Beignet and had some coffee and the aforementioned Beignets.....WOW, really great with powdered sugar on them! Our next stop was JD Duz laundromat.....yes, they do still exist. We brought a boatload of quarters with us, but, of course, this is not how this laundromat operates....you have put money in their machine, which issues a magnetic card that you insert in their washers and dryers.....took a couple of minutes to figure out how that worked, but eventually we got the clothes, and sheets washed and dried, and then headed off for our next stop...LSU Stadium, homeo of the NCAA football Tigers. Objects are larger than they appear.....lol! We took the walking tour through the old Capitol building where Huey Long reigned during his time before having the new capitol built. It is amazing to me how much the new Capitol building looks like the Los Angeles City Hall. 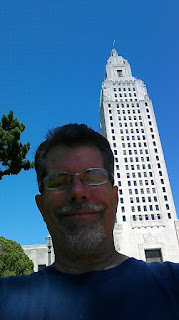 According to the information provided the Louisiana State Capitol is the tallest State Capitol building in America....I'm not sure, because it barely looks bigger than me! 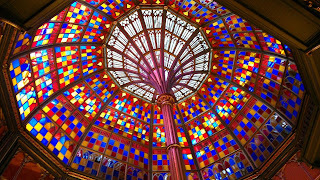 The rotunda in the old Capitol building....just stunning! 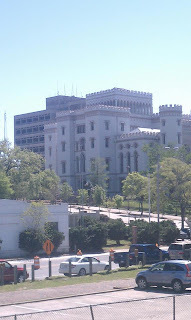 After our tour of the Capitol we headed back to the coach, loaded the T'Bird, and then jumped on I-12 heading east to Slidell, LA.....just shy of the Mississippi border. This is one sweet stretch of Interstate....smooth, flat, and straight. I set the cruise control on 60 and just steered for 2 hours. We are now parked at another Walmart Supercenter in Slidell, right across from a Cracker Barrel, and a Lowe's (I'm using their free WiFi....it is lightning fast!). This morning when I got up the house batteries were down to 85%....the solar panels brought them back up to 96% by the end of the day. That's our day.....thanks for stopping by! Thursday was one of those "I'm not sure what to do today, because it hasn't stopped raining" days. Since our plan is to start the wheels rolling again on Friday (March 23rd) I began straightening up the trailer so we can roll the 'Bird back in. Whenever we stop for more than a day it seems like the inside of the trailer explodes and all sorts of things come out of their hiding places during the night. Really, it's just me moving stuff around so I can open my work bench.....haha! The sun actually came out around Noon time so we decided to take in a movie.....haven't been to a movie yet on the trip, although we have talked about it. We also need to do major laundry, so we were trying to find a laundromat near the movie theater to do our laundry before the movie, and we did locate several on Google, but for some reason we were just not able to FIND them. Now I can hear you thinking, "they have a Splendide Washer/Dryer, so why are they looking for a laundry? ", and you would be 100% right. However, since we do not have access to a sewer hookup this week, and the Splendide dumps gallons of water in our gray tank we decided to find a laundry. Well, we are still trying to find a laundry. The only movie that interested me that had a matinee showing was "John Carter". I would like to see "Safe House" with Denzel Washington and Ryan Reynolds, but the first showing was at 7pm....didn't want to miss any NCAA games (there were 4 last night), so we chose a matinee showing of "John Carter". The movie was about 2 hours long, but not nearly long enough to do the book justice. It was an odd, but fun movie, however I would not recommend it. Thankfully the admission was only $5/person. We found a little Mexican place called El Sombrero at the nearby mall to have lunch before the movie, and it was good! After all the hunting around for the elusive laundromats we decided to do a small load in the Splendide of necessities on the "quick wash" mode, which uses a little less water, and just call it a day. We'll look for a laundromat again on our way up to Baton Rouge on Friday. I found a fuel stop where we can fill up for $3.76/gallon.....not a bad price....an near there is a Walmart Super Center where we will park, pull the 'Bird out of her cage, and tour Baton Rouge on Saturday. After that we head east on I-10 for new lands and new adventures. About 9pm the skies opened up again, and we were treated to rain on the roof all night, accompanied by more lighting and thunder....this time it seemed much closer. So that was our "nothing much to do day". 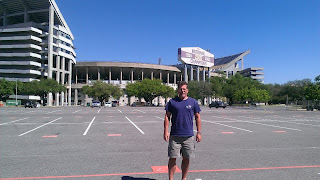 Tuesday we had planned to drive up to Baton Rouge, BUT all the weather reports indicated high winds, and rain. Didn't sound like a great day to go site seeing, so we decided to stay home and read. I had been trying to finish "For Whom the Bell Tolls" by Hemingway, but had been distracted each day recently by other things. So I opened the book on my Kindle in dove in. According to the Kindle I had read 75% of the book....I have no idea how many pages that is, nor how many I had left, but it took me the better part of the morning to finish that 25%. For those of you who have read this novel you know that the first 75% is repleat with detailed, in depth dialogue and character development. By the time you get to the last quarter of the book you know each of the characters in amazing detail. There are really no questions left in your mind about the characters, or what motivates them. The only thing you are left with is who is for whom is the bell going to toll. By the time I finished the book it had become clear that the rain was not coming yet, but it was very, very windy. For those of you who have not read this book I will not spoil the ending for you. I went back to my home page in the Kindle and found a Louis L'Amour book I had not yet read, and so dove into Borden Chantry. What I love about his westerns is that you can read them in an afternoon, and you know the main character will prevail in whatever struggle he, or she is engaged.....good win out. I have yet to read one of L'Amour's books that I did not enjoy, and have read many more than once. By the time I finsished my second book of the day it was after 5pm, and the day was just about done....and still no rain.....but lots of wind. It wasn't until about 8am this morning (Wednesday) that the rain came, and it came with a vengance. Take a look a the video I have uploaded . Not apparent in the video is the lightning and thunder that accompanied the torrential down pour. I don't know if I have mentioned before, but Elaine and I applied to Amazon to work in one of their fulfillment centers this fall/winter from mid October to December 23rd. We can make good money during that time...enough to pay for a couple of years of diesel, and travels. At any rate we had submitted our applications back in January. We had gotten an e-mail a week ago, or so which indicated we would be called soon for our phone interviews, and guess what? That day was today at 8:30am.....we had just poured ourselves a cup of coffee when Kelly (a guy) called from Amazon to do the phone interview. They want to be sure you are aware of the physical nature of the work, and are up to it, so they ask you a lot of detailed questions about your physical abilities, and explain in graphic detail the responsiblities of each position. At the end of the interview we were advised we were accepted to work in their Campbellsville, KY center. The hourly pay is decent, and if you complete your contract you get a $1.00 per hour worked bonus per person. In addition, they pay for your RV spot, and utilities. The only thing we are responsible for is our propane. There are 3 fulfillment centers Amazon recruits workcampers to: Fernley, NV, Coffeyville, Kansas, and Campbellsville, KY....we chose Kentucky as we felt the weather would be the most moderate compared to the other two locations. So, we are set and have about 6.5 months of freedom before we begin our stint at Amazon. Our plan after Amazon is to head down to Florida for the winter. 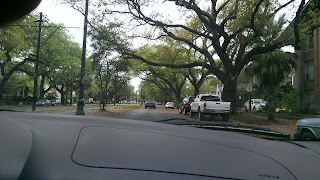 Today (Monday) was the day we decided to drive into New Orleans for the day. Our intent was not to do and see everything there is to do, because that would require several days. We wanted to get the "lay of the land" so to speak, and see, on our first trip in, what was important to us. There will another time. 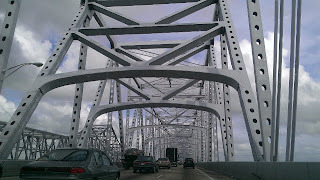 We took Highway 308 to Highway 90 and into New Orleans. The trip took around and hour and a half. 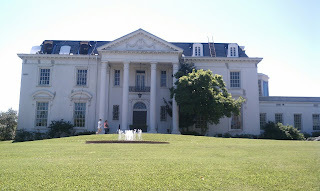 We drove down the length of St. Charles and back to Lee Circle for starters and enjoyed the many magnificent mansions along with the street cars, and Tulane University. 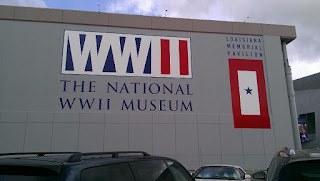 After our round trip up and down St. Charles we found a parking lot near the National WW 2 Musuem. Since we were already there we decided to take some time and take the tour. We spent about an hour and a half in the museum, but we could have taken 2 days! There is a lot to see in this museum, and it is well worth your time. 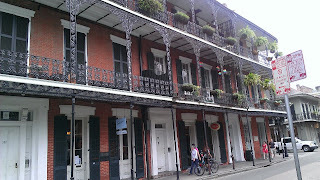 After the museum we decided to walk to to Bourbon Street and the French Quarter. It was probably about 8, or 9 blocks. 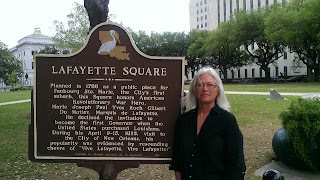 We stopped off at Lafayette Square to take a picture. At last we came to Bourbon Street, which begins at Canal Street one block over from St. Charles. My first impression of Bourbon Street was the on again, off again smell of what smelled like the gray water I dump out of my holding tank once a week. 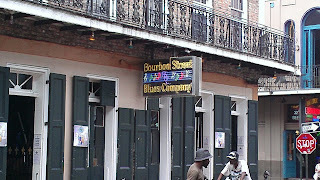 The second thing I noticed was the large number of strip clubs....in fact the first thing you see when you enter Bourbon St. is the Hustler Club. We walked the entire length of Bourbon Street where you could still see some party beads left over from Mardi Gras hanging from the balconies. At every restaurant entrance stood people holding the menu for that restaurant in front of them, and asking you to come in. Of course, everwhere is the typical French period architecture. If you have ever seen video of Bourbon Street this is what you remember, but with thousands of people hanging over the balconies. There were various clubs offering the different genres of music, and a lot of bars.....most full at mid day on a Monday. 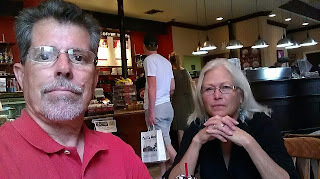 Just after we reached the end of Bourbon street and walked over to Royal to walk back to Canal Street we found this nice little coffee shop were I got a Mocca Frappuccino and Elaine a coffee of the day. Nice break after a long walk. 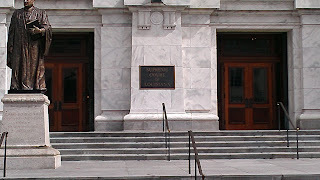 Our walk back up Royal (turns into St. Charles) was actually more enjoyable.....there were a lot of street musicians, antique shops, and the Louisiana State Supreme Court. Very pretty building! 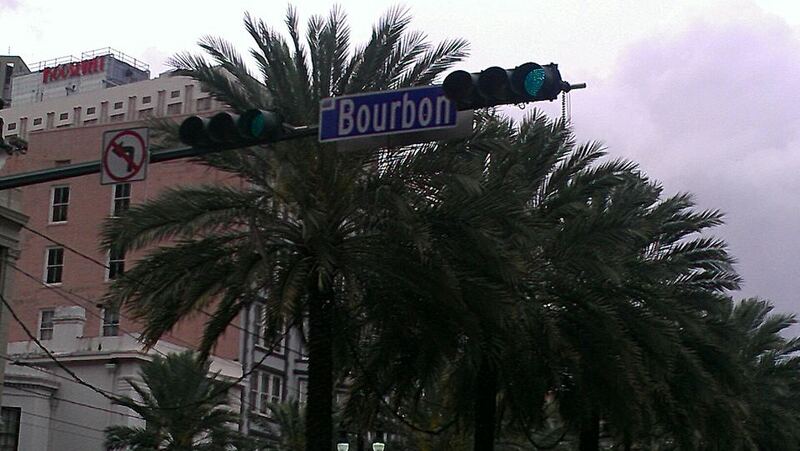 We spent about 6 hours in the Big Easy, and really just scratched the surface of what there is to see. 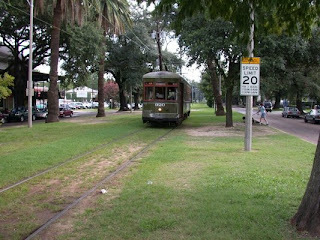 When we got back to Canal Street we caught the St. Charles Trolley back to our parking lot. It was a very nice day, and we will return. 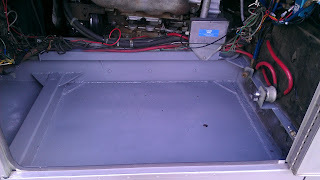 We got home about 5:30pm, and I immediately checked to see if the paint was dry in the engine bays that I had applied that morning. 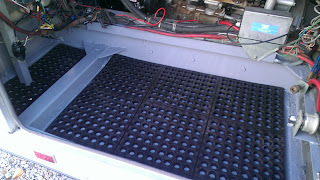 It was, so Elaine helped me cut the rubber mats to fit, and we installed them. This finished project exceeded my expectations!